Good Morning and welcome back to the 100 Years Series. Just to catch up, we are celebrating one of our favorite vendor’s – Steelcase – 100 Year Anniversary (which we’re celebrating Nov. 8th with great party – contact us for more information!) by looking at their past and future. They’ve achieved so much and have such a great theme. If you haven’t seen it yet, check out there site: http://100.steelcase.com/. This week we visit what we’re told is “Milk’s favorite cookie”. 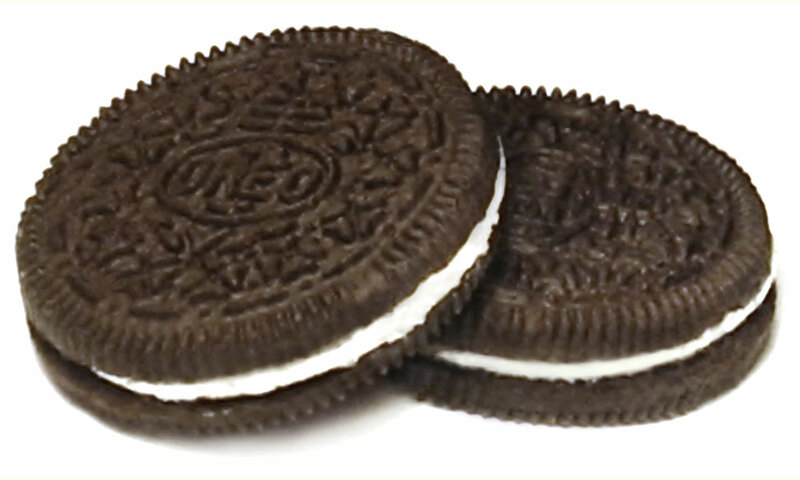 Oreo was made by Nabisco (a division of Kraft foods) in 1912 at the Chelsea Factory in NYC. The name was trademarked on March 14th, 1912. The original design was set to look like a wreath with the name “oreo” in the center. The newer design we see today was created in 1952 by William A. Turnier. Did you know the Oreo Cookie has been renamed a few times? Originally, it was the Oreo Biscuit. In 1921, it was renamed the “Oreo Sandwich”. In 1948, it was called the Oreo Creme Sandwich only to be changed in 1974 to the Oreo Chocolate Sandwich. Now, as far as I can tell, we call them Oreo cookies. Over the years, Oreos have been keeping busy. They’ve become international (mostly in the last 10 years) with great success. They changed their size (mini oreos, double stuf’d oreos), added some flavors (Neapolitan oreos, green tea, strawberry), they even got into baked goods and ice cream. And they continue to be a favorite as they market to the next generation of kids and adults. For more information, I highly recommend checking out the Wiki site – http://en.wikipedia.org/wiki/Oreo – and then visiting Oreo’s online http://brands.nabisco.com/Oreo/birthday/. Play some games, share your birthday, take a pic of yourself dunking and oreo old school style…and do what their slogan says: “celebrate the kid inside”. Oreo, we wish you a very happy 100th birthday and look forward to many, many more!